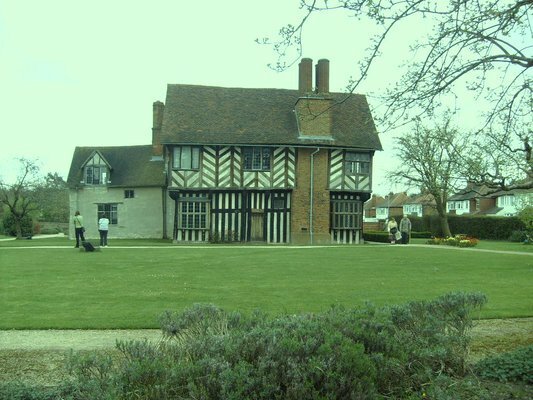 Nearly older than Brazil and dated from 1590, Blakesley Hall is a fine 17th Timber-framed building located in Yardley, Birmingham. After belonging to an affluent family from that area, the house became a museum in 1935. This architecture survived a bomb in 1941 and even being under several refurbishments it's just incredible how architecture and history was being preserved for almost 400 years! I have visited this wonderful heritage hall once and the experience of being inside this listing building is like going back in time to find out more about Birmingham's past itself. There is a lovely tea room inside the property with some tables outside inviting for a nice coffee or a gorgeous piece of chocolate cake that brought you back to the atmosphere of old farmers days contemplating the garden view. The admission to this wonderful heritage part of Birmingham is £ 4 (adults) and children under 16 years have free admission. The ticket also include access to the garden and visitor centre. There are several cultural events during the year, from music performances to historic talks, in the Blaskeley Hall. It's definitely a place to take family and friends this summer.